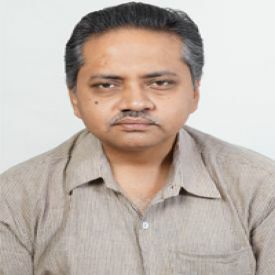 Saswata Ghosh is Demography and Population Health Expert at the Centre for Health Policy (CHP), Asian Development Research Institute (ADRI), Patna and currently on lien from Institute of Development Studies Kolkata (IDSK), where he holds position of Associate Professor. He completed his Ph.D. in Population Studies from Jawaharlal Nehru University (JNU) in 2006. He obtained Sir Ratan Tata Fellowship from Asia Research Centre of London School of Economics (LSE) during 2014-15, and International Fellowship from Indian Council of Medical Research (ICMR) during 2012-13. He has many publications in peer-reviewed journals of international repute including International Journal of Epidemiology, Population Research and Policy Review, BMJ Open, Maternal and Child Health Journal, Journal of Biosocial Science, Asian Population Studies, Genus, Economic and Political Weekly to name a few. His areas of interest include fertility, family planning, mortality, morbidity, maternal and child health, and nutrition. Other areas of research include field survey methods, demographic estimations, and econometric methods.